The holiday season is meant to be a time to gather together with family and friends. It’s for celebrating the most important things in life, while looking back at the last year – and celebrating what might be to come in the year ahead. But for many Americans, from across the country and from all walks of life, the threat of scams and fraud can make the holidays feel anything but cheery. In 2017, the FBI’s Internet Crime Complaint Center reported that victim losses to online scams and fraud amounted to more than $1.4 billion. Businesses and consumers were both affected, with some of the top sources of harm including identity theft ($66.8 million), credit card fraud ($57.2 million), and personal data exposure ($77.1 million). The holiday months are a prime time for scammers to target consumers, according to the Federal Trade Commission (FTC), largely thanks to the seasonal rise in shopping, charitable giving, and traveling. Every year, millions of Americans conduct their shopping over the internet. It’s an easy way to save money and time during the holidays, and make sure that you’re able to find the exact gift that your special someone may be hoping for. But shopping over the internet also comes with a few unique risks. Shop with a credit card, rather than a debit, when shopping online. This can offer a greater level of protection in the event of fraud or identity theft. Look for secure websites. The URL will begin with “https,” and you will likely notice a “lock” symbol at the top of your browser. Watch out for “look alike” websites. Always double check links, to make sure there are no misspellings or extraneous words. Be wary of unsolicited emails or social media messages. If someone unfamiliar contacts you out of the blue with a special promotional offer, a holiday eCard that requires you to put in personal information, a “tracking number” for a product you don’t remember ordering, or information on a charity or bank account that seems dubious, these could be attempts to “phish” for your personal data. The FTC advises you to disregard or report the message and do not provide any identifying information. During the holiday season, many of us like to spread a little good throughout our communities by volunteering or donating money to charitable organizations. Unfortunately, there are also many malicious actors out there, seeking to take advantage of the generosity of others by posing as fake charities and nonprofits. Research prospective charities. The FTC encourages consumers to do some legwork before they give. Seek out reviews, ratings, and complaints about charities before donating any money, and consider using an organization such as the BBB, Charity Navigator, or GuideStar to help you find out how a potential charity conducts itself. Be careful with how you pay. Be vigilant! Never give any money to a would-be charity organization that only accepts wire transfers, gift card donations, or cash, as these are the payment methods most preferred by scammers. Keep a record of your donations, and make sure you’re never charged for more than the amount you intended to give. And, finally, always be sure to read the fine print before you give, to make sure that you’re fully aware of who will be processing and receiving your donation. Watch out for common scam tactics. If you feel rushed, pressured, or coerced into making a donation, take a step back – this may be a scam. Similarly, watch out for cold calls claiming to represent charities that you have never given to, or which have a vague name and no obvious objective or mission statement. Take your time, and don’t hesitate to do your research. Never give if you have any hesitations about the authenticity of a charity, and remember that if an offer seems too good to be true, it likely is. The holiday season is a time when many of us hit the roads, the skies, or the rails, whether to visit friends and family, or to escape off to far-flung getaways (preferably somewhere far warmer than home). Because of the high volume of travel during this season, many scammers use the holiday months to target people on the go. Ignore robocalls with vacation offers. Automated cold calls (or unsolicited texts or emails) are often used by scammers looking to attain your personal information. Always get cancellation and refund policies in writing. This goes for flight reservations, car rentals, vacation rental properties, hotel bookings, travel agent services, and more. Pay by credit card. Using a credit card offers more security than paying with a debit card, cash, or check. 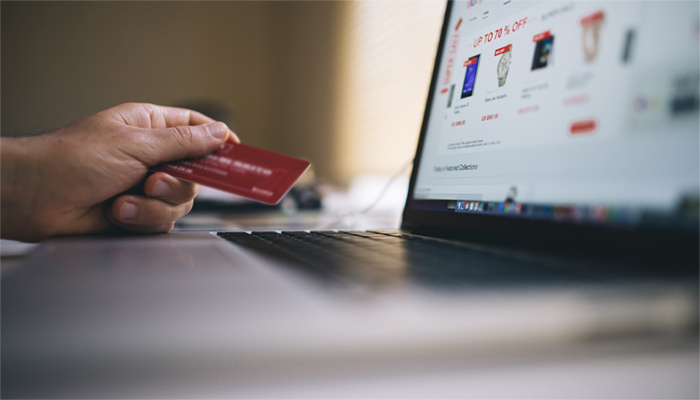 There are laws protecting you in the event that your credit card is lost or stolen, and you can often attain chargebacks or dispute inaccurate transactions with your card company. Avoid conducting business on public WiFi. Unsecured wireless networks, such as the ones you may find in restaurants or coffee shops, are often open books for hackers and identity thieves. If possible, avoid using open networks to conduct private business, especially when you’re in an unfamiliar locale. Here at FourStar Wealth Advisors, we believe in arming consumers with the knowledge that it takes to always make the best possible financial decisions, during the holidays and all year long. Whether you are accumulating wealth or investing for income, solidifying your retirement plan, or devising a distribution approach that meets your lifestyle and legacy goals, FourStar Wealth Advisors can help you define what is most important to you and then formulate the strategies that are best suited for your needs. Four Star Wealth Advisors is a Registered Investment Advisor firm headquartered in Chicago, an independent firm without the conflicts of the old school firms. We are directly focused on serving clients, without all the obvious conflicts of interest of the brokerage firms.